Art therapy may be beneficial to children with learning disabilities, says new study. Children with learning disabilities may find art therapy helpful, says a new study. 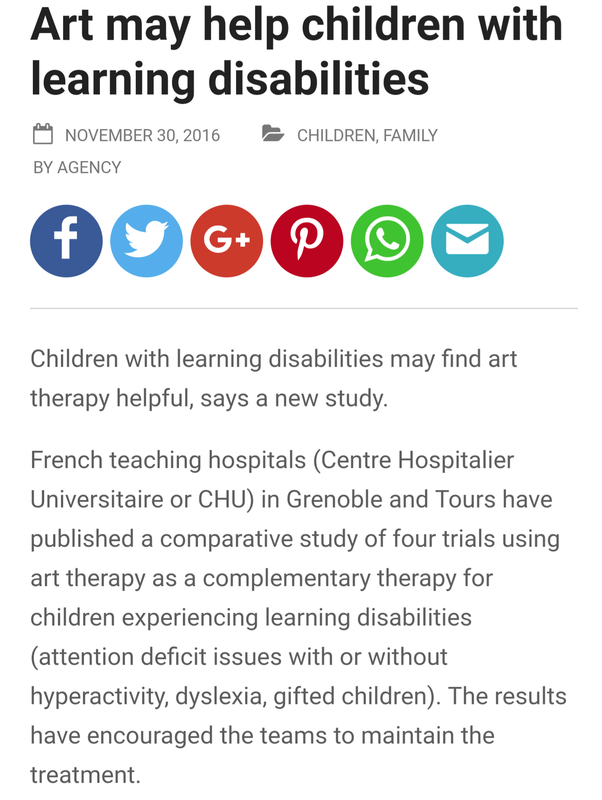 French teaching hospitals (Centre Hospitalier Universitaire or CHU) in Grenoble and Tours have published a comparative study of four trials using art therapy as a complementary therapy for children experiencing learning disabilities (attention deficit issues with or without hyperactivity, dyslexia, gifted children). The results have encouraged the teams to maintain the treatment.